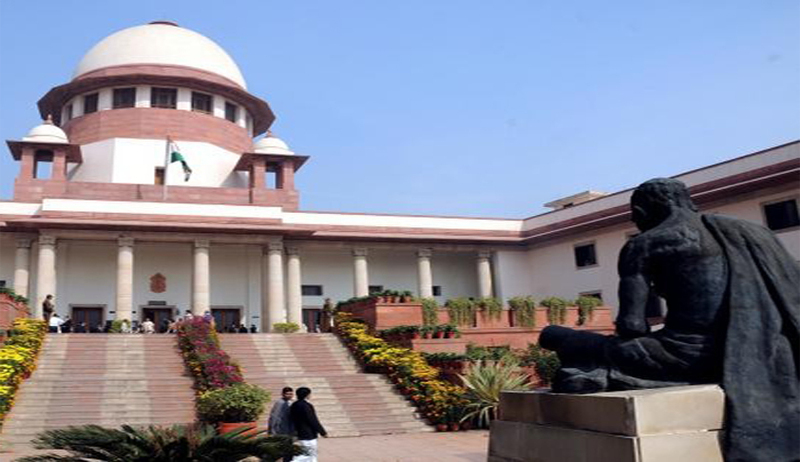 The Supreme Court has stayed the execution of the death sentence of Sonu Sardar, convicted and sentenced for killing five members of a scrap dealer's family in Chhattisgarh. He had put forward a new plea that at the time of committing the offence, his age was 18 years and two months, based on information furnished by some student researchers of NLU-Delhi. A division bench comprising of Justice Vikramajit Sen and Justice Shiva Kirti Singh stayed the execution of the death sentence, by issuing notice to the central and Chhattisgarh governments. The Raipur Central Prison on April 21st had informed Sardar that his mercy petition has been rejected by the president. However, Sardar, who moved the apex court, said that on Nov 27st 2004, when the family of five were murdered, his age was 18 years two months and should have been a mitigating factor that would have saved him from being awarded the death sentence. But instead his age was shown to be 23 years. Sardar, in his petition, said that his review petition of May 28, seeking the recall of the Feb 23, 2012 apex court order upholding his conviction and death sentence, is pending decision. The court also tagged Sardar's plea with earlier pending matters as he has also challenged the Supreme Court Rules, 1966, contending that appeals in death sentence cases by heard by a bench of five judges and the review in such cases be heard in open court instead of the existing practice of deciding them in chambers by circulation.